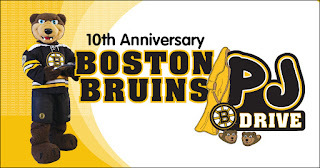 Upton Town Library has teamed up with the Boston Bruins to participate in their annual pajama drive to benefit DCF Kids and Cradles to Crayons. 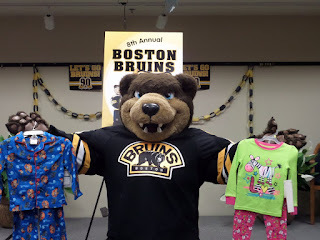 The PJ Drive’s goal is to collect 10,000 pairs of new pajamas for children and teens in need this season alongside other participating libraries statewide. February 1 through March 15, 2017. The library will be collecting new pairs of pajamas for babies, children and teens. For any children participating, we are bringing back a summer favorite, the Treasure Chest, as a reward for all pajamas donated!